Dog Supplies - Dog Chews, Dog Toys, Etc. Do you need dog supplies? 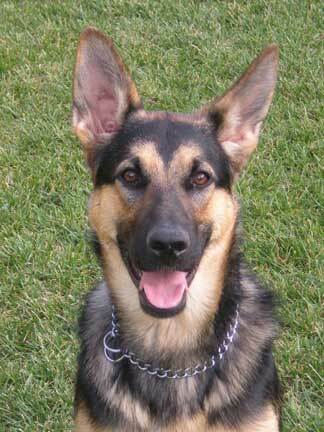 See "What's New" at Total German Shepherd! Browse through our new online store for all kinds of dog necessities and products at Low, Low Prices! We are your new source for dog travel & outdoor gear, dog foods, dog training aids, dog collars and leashes, dog bones, chews & rawhides, and dog crates. We also offer a full line of dog products for the athletic and active dog and owner including dog crates, dog treats, dog agility equipment, and many kinds of dog toys for hours of fun and more! Looking for dog products or other dog items for the home? Dog Sports Equipment? Dog Grooming Products? Dog Health Supplies? Dog Items for the car? Dog training items? You'll easily find all of that and more here. Just browse around at your leisure and I'm sure you'll find just about everything you're looking for here. We hope to focus on carrying many of the core dog products that everyone is looking for, but we hope to set ourselves apart from other dog stores too because we pride ourselves on featuring new and unique dog products that are not found in every pet store on the internet! Check Out Our Hot New Dog Products and don't forget to browse around for up to 25% off select dog products! Let us know what you think of this new service and feel free to visit us often for all your dogs needs. From dog collars, to dog foods (all kinds), dog treats, dog toys, gifts for dogs and dog owners too, we will do our absolute best to place all our best recommendations for German Shepherd Dogs and GSD owners alike throughout the pages of this site. Enjoy!